When a homeowner welcomes a dog into their lives they bring with them endless amounts of love and adoration, along with a few special needs that make them unique family members. Dealing with pet hair and muddy paws may come with the territory when you own a dog, but don’t let mess deter you from adding mankind’s best friend to your family. 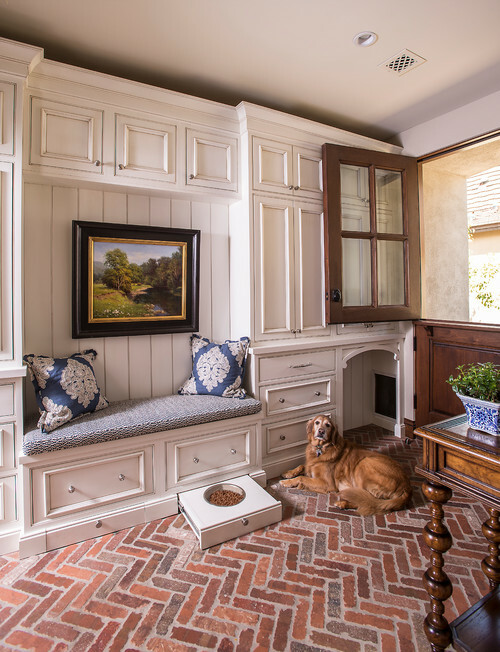 Check out these dog-friendly features Dale’s Remodeling design team has found that will give you a leg up in keeping your dog-friendly home clean and tidy. 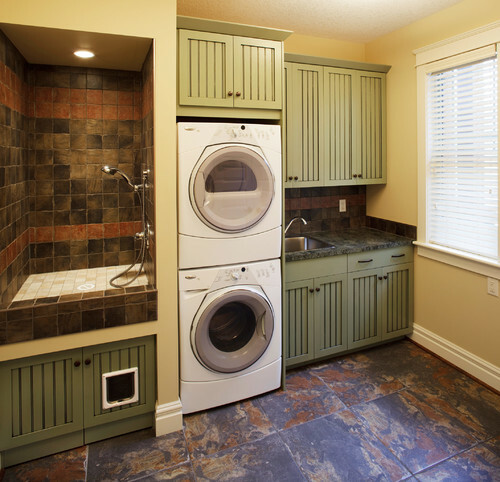 Convenience is key in keeping your home clean and many pet owners achieve that goal by installing a dog washing station next to a main point of entry. 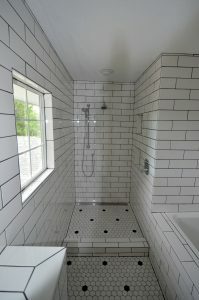 Walk-in showers and tubs with retractable hoses are great options for large dogs. And, tabletop washing centers are perfect for smaller dogs that require more lifting. All your supplies can be kept in custom-built cabinets, hidden away but within reach when you need them. This convenient task center will prove to be a better investment than maid service! Stepping over food bowls is not only an eyesore, it’s also a trip hazard. Keep the feeding frenzy under control and slip-free with neatly hidden feeding stations. Pullout drawers can be installed into the baseboards of any type of cabinet or under a built-in bench. Just close the drawer when your dog is full and any mess will be out of sight and out of mind! Keeping emergency clean-up supplies in every room, especially next to the most commonly used entryways, is the best way to be ready to handle those unexpected messes. 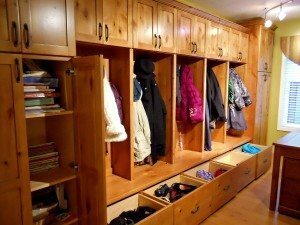 Include a space for all your supplies right along with the coats and shoes you’re already storing. 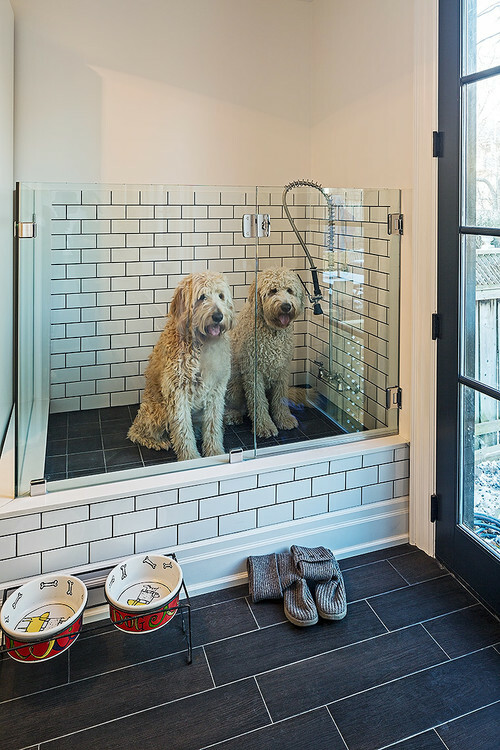 This way, you’ll be able to get ready right beside your furry friend. Provide a bit of luxury in your dog’s life and give him/her a place of their own out from underfoot. 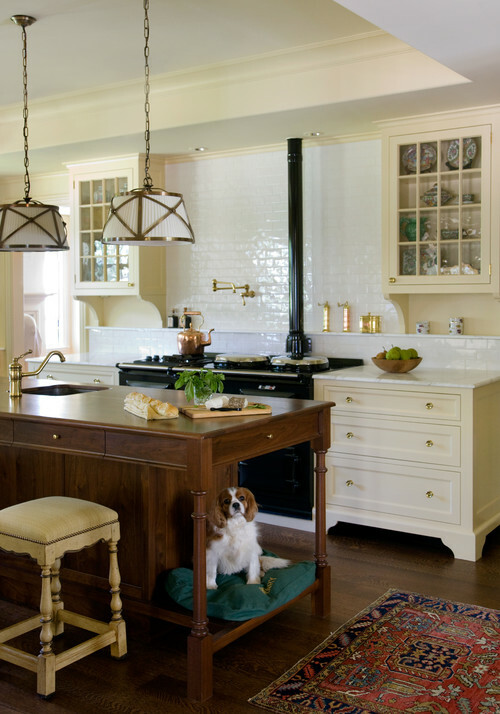 Custom-built islands, window seats, and cabinets can include a niche that’s a cozy and stylish bed for your dog, and you won’t have to worry about stepping on their tail. Adding a plush cushion with long-lasting, stain resistant fabric that naturally collects dog hair makes clean-up a snap! 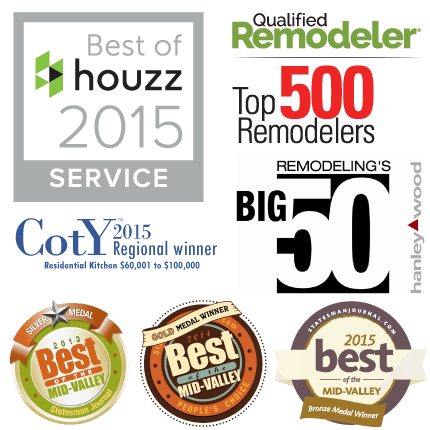 Keep your dog-friendly home clean and neat with design ideas custom made for your entire house. 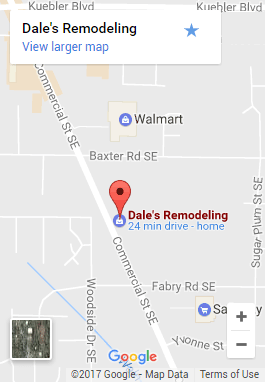 Dale’s Remodeling’s design team is full of great ideas to maximize your home’s space to include all you need to keep your pooch happy and your home looking great! What’s on your dog-friendly home remodeling “wish list?” Check out our Dale’s Remodeling’s Pinterest pet-themed board and tell us what you love in the comments below.